One of the ways that people will often try to cut costs in their home is with discount interior doors. While you can certainly save quite a bit of money on these doors, you will need to be sure that you are getting a good deal in the process. To begin this process, you will want to determine why the discount has been placed on these doors. Some of them will be custom orders that didnt originally work out for the original owners and the store is looking to move them out of their stock as quickly as possible. In other cases, there may be some damage to the doors. If it is simple enough that you can sand out the damage and give it a fresh coat of paint, it might be something you want to consider. Sometimes the discounted doors will be the result of an old style that is being worked out of a store as well. Interior designs can change on a regular basis. If you arent stuck on the trends out there, you can find a great deal on a designs that are going out of popularity. More importantly, you will find that many of these styles can be adjusted to fit in your current décor and that can help you to get a quality door at the fraction of the cost and not have to make a compromise on the quality of the door that you have. 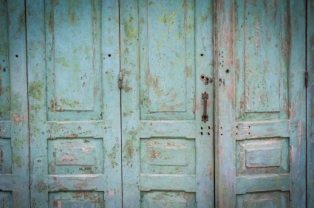 Keep in mind that odd colors can often be found in the discount interior doors as well. Since most people want a door that they can take home and put up, they will often avoid anything that they would need to repaint. However, finding a door with character and an ugly shade on it can prove to save you money. Just sand it off and then put a coat of paint on the door that will work better for you. Of course, the other approach you can take to these doors will be to make your own. Just get sheets of wood large enough to make the general door and then begin to craft them into a look and design that will eventually work for your home. This will give you a chance to pull out your tools and potentially add some value to your property at the same time. Remember, there are going to be a number of options out there when you look at discounted doors. Make sure that you are taking your time to consider each of them and come up with a set of designs that are going to prove to be cost effective and visually stunning.